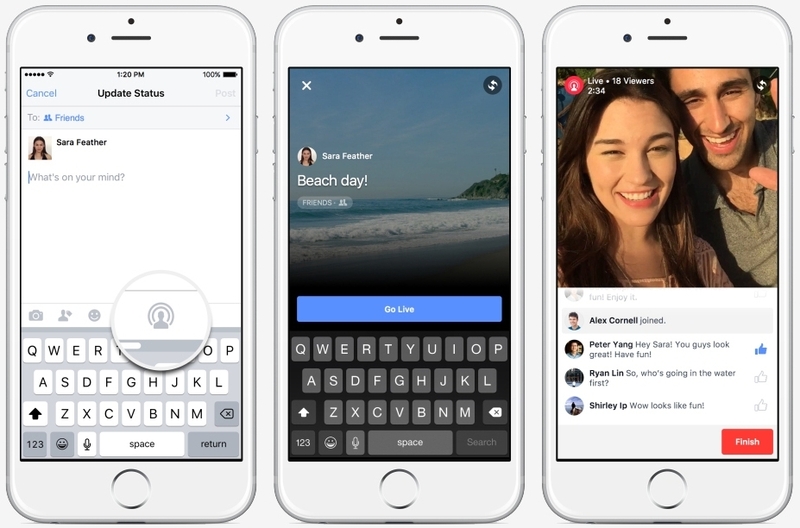 Facebook over the summer rolled out the ability for users to stream live video to followers at any time. The "catch" is that it was initially only offered to public figures. Four months later, the social network is now ready to bring everyday folk aboard. Thai Tran and Vadim Lavrusik, both product managers with Facebook, announced the expansion in a recent blog post. The duo said the social network is ready to begin broader testing with a small percentage of people in the US on iPhones. To initiate a live video stream, you’ll simply need to tap Update Status and select the Live Video icon. As is the case on other platforms, streamers will be able to see the number of live viewers, a list of friends that are tuning in and a real-time stream of comments from those watching. Once you end the session, the clip will be saved on your Timeline as any other video would. This allows those that couldn’t watch the live version to catch up on what they missed. Saved videos can also be deleted from the Timeline at any point, we’re told. As The Verge points out, notifications of broadcasts on Facebook adhere to the algorithms used by News Feed. Unlike other services that notify all followers when a broadcast begins, Facebook will only push out notifications to select friends it believes are most likely to watch. This behavior can be circumvented, however, simply by subscribing to a broadcaster at which time you’ll be notified each time they go live.